Preleasing begins October 1st. 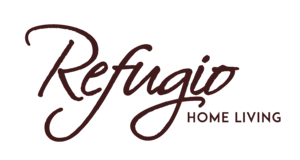 Experience the luxe lifestyle at Refugio. Four different three-bedroom floor plans to choose from, with nine to twelve-foot ceilings, private yards, oversize closets, and your own two-car garage. Private back yard next to the family and dinning rooms for exclusive entertaining or to grow your own garden. Nine foot ceilings with vaulted master bedroom spaces up to 12 feet. Private master bath with his and her separate walk in closets. Laundry located on second floor next to bedrooms. Direct access secured two car parking.